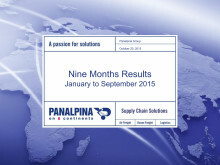 International freight forwarding and logistics company Panalpina achieved a stable consolidated profit of CHF 69.3 million (currency adjusted: CHF 75.8 million or +9.5%) in the first nine months of 2015 as headwinds in oil and gas and a very soft air freight market persisted. Group gross profit decreased 6% to CHF 1,107.3 million (currency adjusted: CHF 1,177.0 million or 0%), while EBIT decreased 2% to CHF 92.4 million (currency adjusted: CHF 102.7 million or +9%). EBIT was up in Ocean Freight and positive in Logistics (compared to a loss from January to September 2014) but down in Air Freight. Group gross profit decreased 6% (adjusted: 0%) to CHF 1,107.3 million in the first nine months of 2015 (YTD 2014: CHF 1,178.7 million). Total operating expenses amounted to CHF 975.9 million, 6% less (adjusted: -1%) than in the same period of the previous year (YTD 2014: CHF 1,041.2 million). Panalpina achieved an EBIT of CHF 92.4 million, a decrease of 2% (adjusted: +9%) compared to the same period of last year (YTD 2014: CHF 94.4 million). The EBIT-to-gross-profit margin increased to 8.3% (YTD 2014: 8.0%). 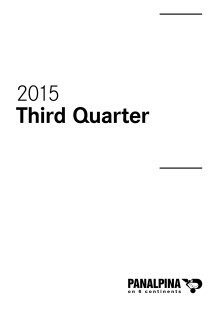 The consolidated profit of the group remained stable at CHF 69.3 million (YTD 2014: CHF 69.2 million). In a very soft air freight market that grew less than 1% from January to September 2015, Panalpina’s Air Freight volumes decreased 2%in the same period. Panalpina transported less oil and gas and automotive cargo, but more perishables. Gross profit per ton decreased 4% to CHF 715 (YTD 2014: CHF 745), resulting in a total gross profit of CHF 439.7 million (YTD 2014: CHF 469.0 million). 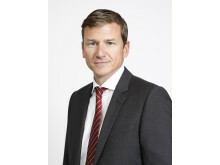 Air Freight achieved an EBIT of CHF 67.6 million (YTD 2014: CHF 85.3 million), while the EBIT-to-gross-profit margin for the first nine months of 2015 decreased to 15.4% (YTD 2014: 18.2%). 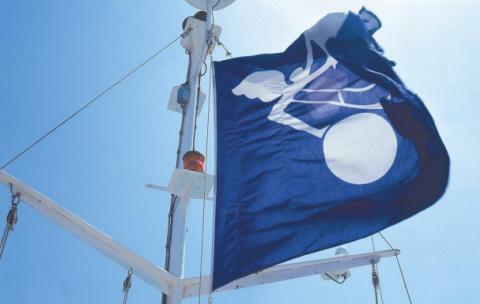 Panalpina’s Ocean Freight volumes grew 1% in the first nine months of 2015, which was slightly below market growth of 2%. 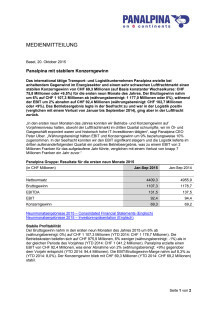 Gross profit per TEU decreased 3% to CHF 300 (YTD 2014: CHF 309), resulting in a total gross profit of CHF 362.2 million (YTD 2014: CHF 370.4 million). Ocean Freight posted an EBIT of CHF 22.8 million (YTD 2014: CHF 16.0 million) and the EBIT-to-gross profit margin increased to 6.3% in the first nine months of 2015 (YTD 2014: 4.3%). In Logistics, gross profit decreased 10% to CHF 305.5 million (YTD 2014: CHF 339.3 million) as a result of currency translation and the continued exit from underperforming sites. 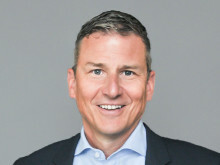 In the first nine months of 2015, a positive EBIT of CHF 2.0 million was achieved, compared to an EBIT loss of CHF 6.9 million in the same period of last year. 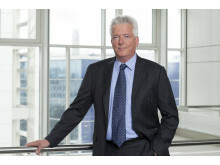 Logistics recorded the third positive quarter on EBIT level in a row.